If Tuscany is a destination fit for a true Royal Honeymoon, why not experience it in the same way Prince Harry and Meghan Markle might? ‘With rolling lush green hills, plenty of great food and wine, Tuscany seems to be the perfect heaven on Earth for the couple to enjoy some quiet time together.’ Even before the time of the Etruscans, Tuscany was celebrated as one of the most beautiful parts of Italy. But with so much on offer, what do you do with 48 hours in Tuscany? 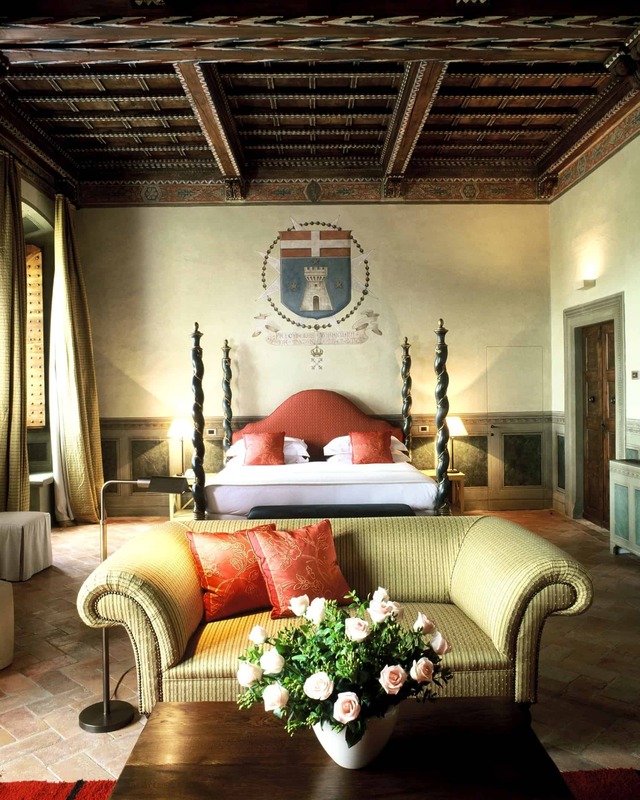 Stay in world-class luxury accommodation in a magnificently converted 12th-century castle estate nestled among the sloping hills of the Chianti wine region, just 30 minutes from Florence and Siena. Wake up in a frescoed suite, breathe in the fresh air as you take in the panoramic view and enjoy a sumptuous breakfast in the lush gardens. The exquisitely restored 900-year-old property is one of the Leading Hotels of the World and features individually designed accommodation with modern comforts and period features, a Michelin star restaurant, a spa, two tennis courts and a 25-metre pool. Blow off the cobwebs in the tennis courts, cool down in the 25-metre pool and indulge in uplifting therapies and signature treatments using estate-produced extra virgin olive oil. Amid the natural beauty of the exclusive ESPA at Castello del Nero, Tuscany’s first ESPA-branded spa, your stress will simply melt away like the dawn’s autumn mists. Tantalise your tastebuds with the rich flavours of the freshest seasonal harvest from the Chianti region of Italy. Indulge in the gourmet Italian dishes of the Michelin star La Torre Restaurant, dine al fresco by the pool and discover the hidden local gems kept in the wine cellars. Chianti is olive grove and wine country and you can expect only delicious fresh ingredients befitting the reputation of Italian cuisine. Lose yourself in 300 hectares of rolling hills that are home to some of the world’s most famous vineyards. 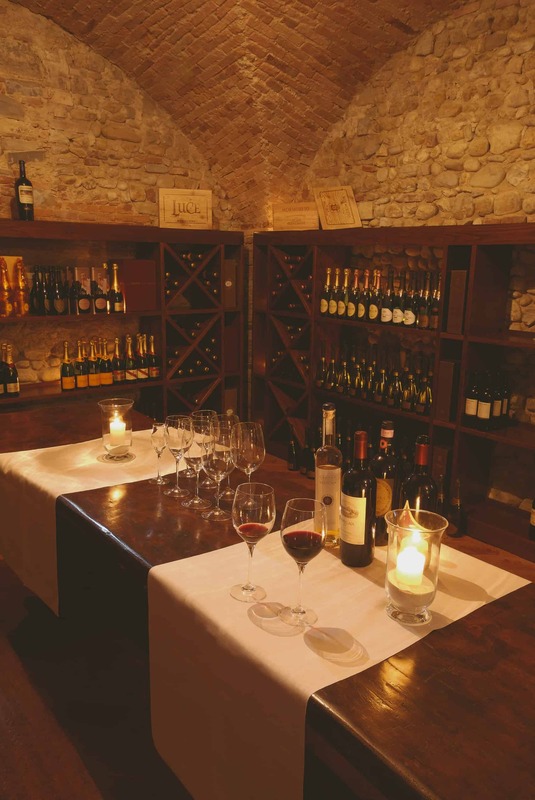 Indulge in the unique flavours of a variety of Chianti wines, whether during wine-tasting sessions or simply while wining and dining. 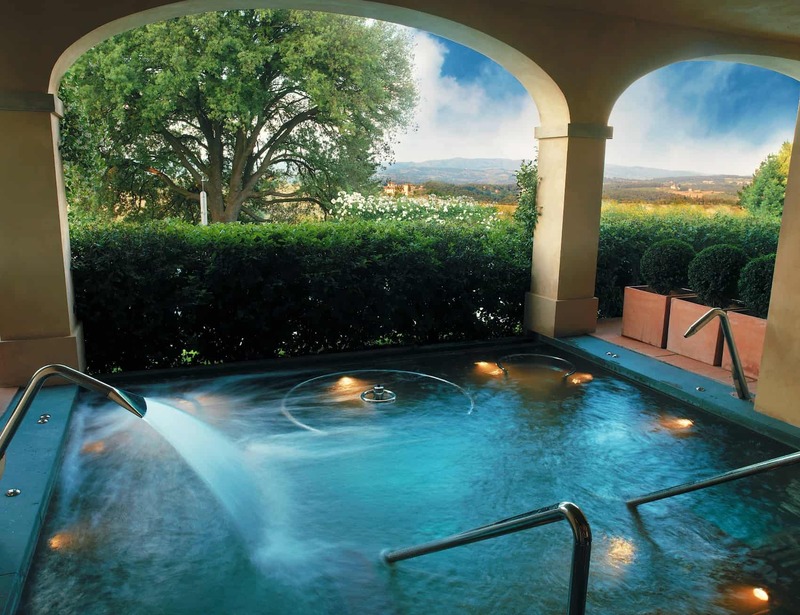 Authentic Tuscany’s renowned beauty and fruits of the earth call for pure indulgence. Would you prefer to take the shuttle bus service to and from neighbouring Florence and Siena or ride a Ferrari? Faced with such a choice, the choice is pretty obvious. Gift yourself the unforgettable experience of driving along those rolling hills with the wind in your hair in an iconic Prancing Horse creation, synonymous with the Italian quest for quality, style and teatro (theatre). Want To Enjoy Tuscany Like This? How about something truly extraordinary? 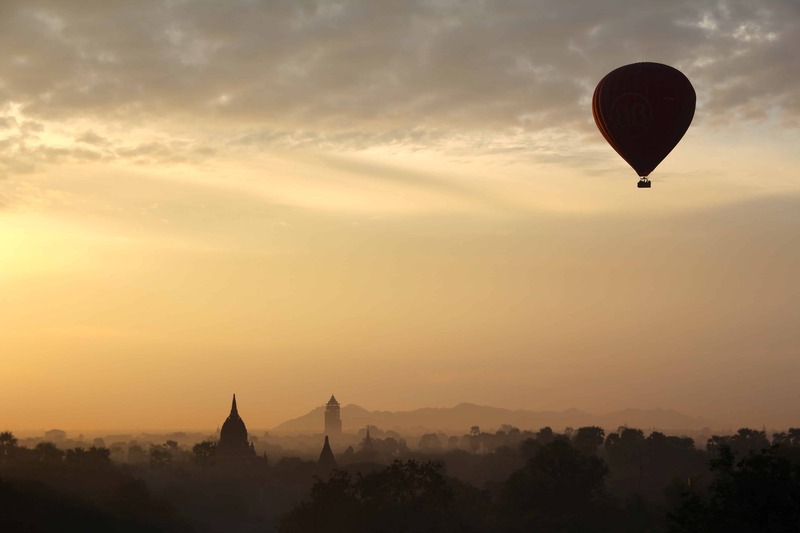 Discover the region in a way that refreshes the parts other modes of transport fail to reach. Drink in all of the region’s natural beauty and serenity with an almost omniscient bird’s eye view, by ballooning over the Chianti countryside. 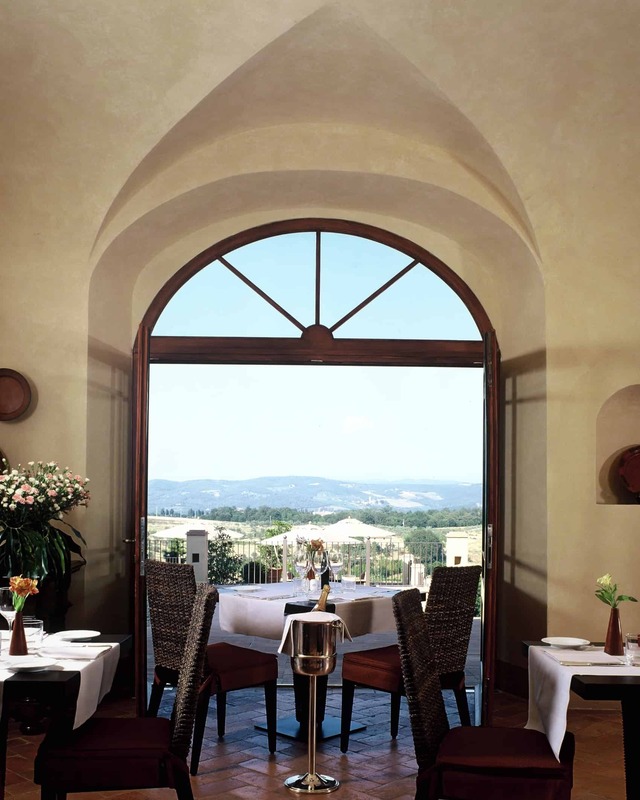 As this little appetiser proves, Tuscany is a moveable feast of treats for mind, body and soul and even 48 hours can be filled with the most memorable and mouthwatering of experiences.